As I said in the introduction to this series of posts, this tutorial will be broken down into three main parts. The first will be how to create a part — specifically a DIP8 ATtiny85 — as a schematic symbol and how to create the schematic we need. The second part of this KiCad tutorial will assign footprints to our symbols and turn the schematic into a board you can send off to a fab house. 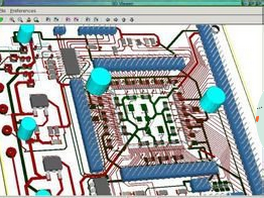 Finally, we’ll take a look at the cool features of KiCad, such as push and shove routing and 3D rendering. 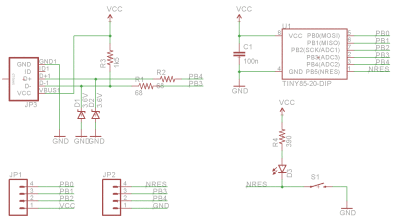 For this part of the KiCad tutorial, we will only concern ourselves with making a part for a DIP8 ATtiny85. Download KiCad and let’s get started. An introduction to the terminology of PCB design might be in order. A schematic is the abstract design file, showing the electrical connections between all the components in your circuit. The schematic is not sent to the fab house. A PCB or board describes the layout of the components, holes, pads, traces, connections, mechanical design, and silkscreen. Designing a board is the end game of all PCB design work, and it is this file that gets sent off to a fab house for manufacturing. 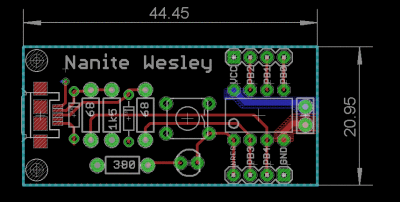 The board we will eventually build in KiCad. This board was made in Eagle. When you first open the Part Library Editor, no libraries are loaded. 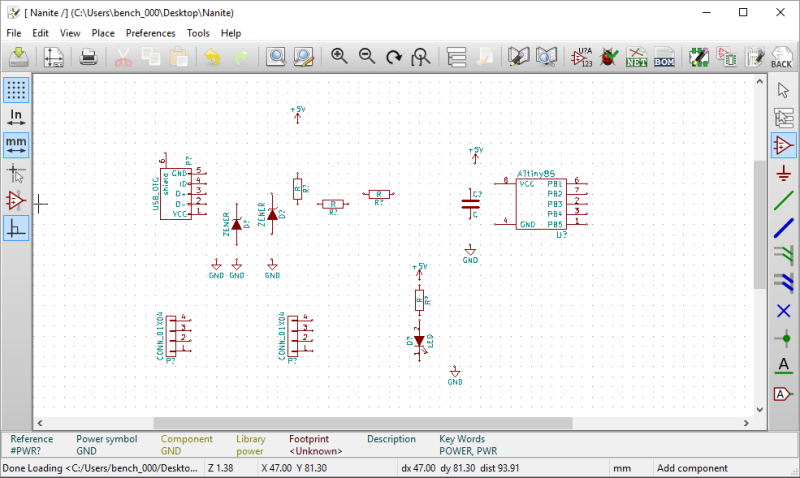 You would think it would be possible to simplycreate a new library, and design some parts, but KiCad is weird. 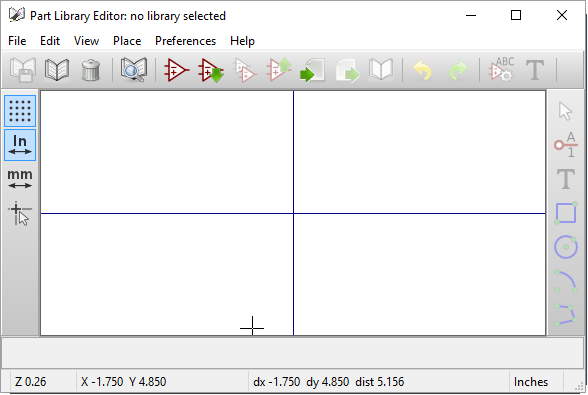 To make your own library in KiCad, you must first select an existing library and save it as your own. 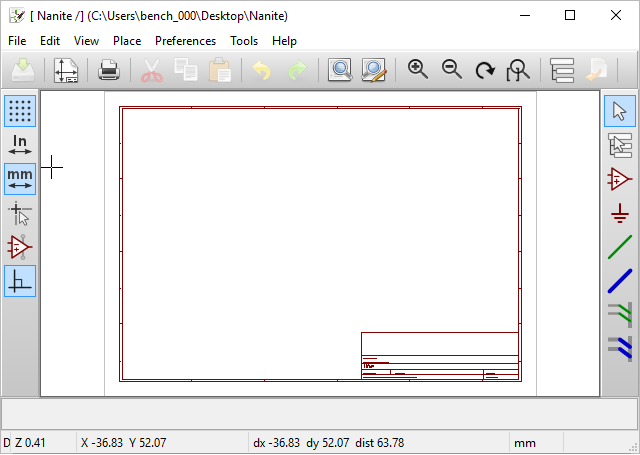 Yes, it’s a bit weird and one of the many oddities of the KiCad UX,but at least it’s better than Fritzing. Save this library you just ‘created’, select File -> Current Library, and select the library you just saved. Now we can begin to make a part. Click the ‘Create a new component’ opamp icon, and you’re presented with a window asking you to name your part. For small, simple, jellybean components, you won’t have to bother with anything except for the name. Name your part ATtiny85 and click okay. The name and designator of the part will be dropped into the window. Now we’re ready to add pins to our part. If you’re following along with this tutorial, this is the first time you’ll actually use the KiCad interface. KiCad has a reputation for being incomprehensible for the beginner. Want some proof of that? 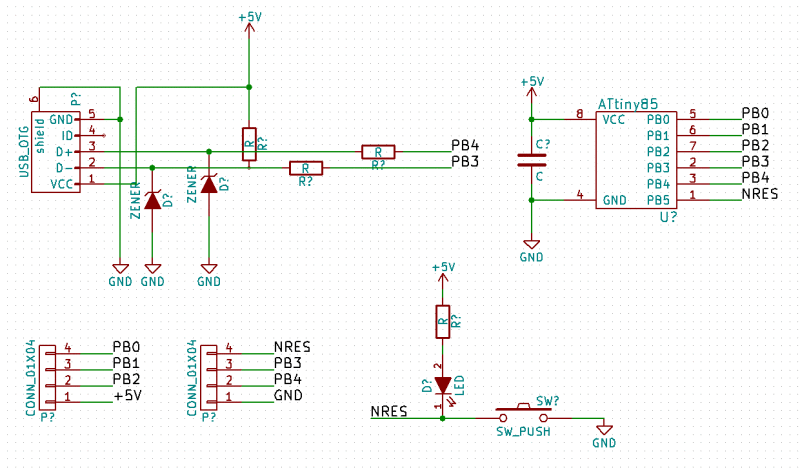 Click on the ‘ATtiny85’ label and try to move it. You would think just clicking it would do something, but that only opens up some options (bold, italic, size, justification) for the text. 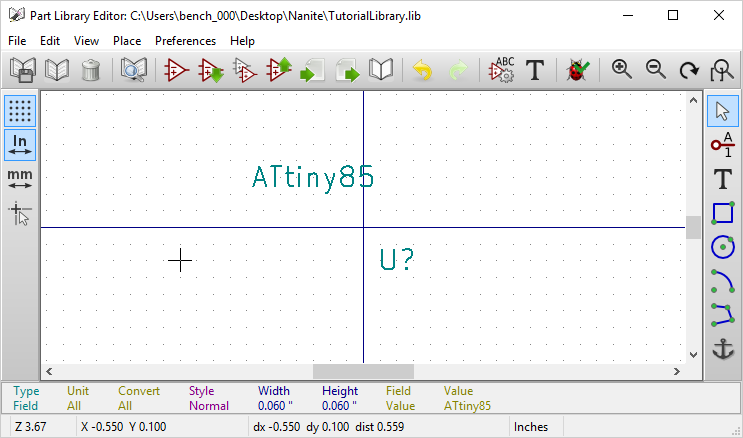 If the ‘ATtiny85’ and ‘U?’ overlap, clicking on both of them opens up a dialog box. There’s a reason for this: KiCad, like almost every other PCB design tool, is based on hotkeys. This is the reason KiCad gets the reputation for not being user-friendly, but there’s a solution: just type a question mark. The list of hotkeys will pop up, and now you’ll always know what keys you need to hit to do what you want to do. 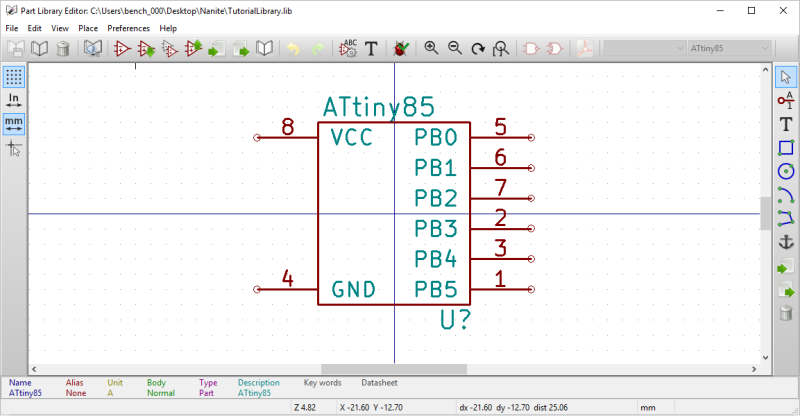 To move the ‘ATtiny85’ and ‘U?’ label off to the side, hit ‘M’ while hovering the mouse over each label. Now it’s time to add pins. Click the ‘Add pins to Component’ button on the right side of the window. Next, click anywhere on the Part Library Editor window. 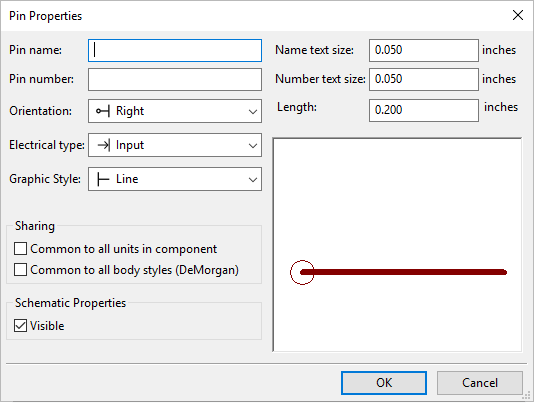 The Pin Properties window is where you assign a name, number, and graphical style to all of the pins in the schematic representation of your part. We’re doing a very simple part with power and ground on one side, and all the IO on the other side. As long as the pin names are correct, and all the pins correspond to the correct numbers on the footprint, you shouldn’t have much trouble. The only thing that might trip you up is the orientation of the pins; here, the circle at the end of each pin designates where the pin connects to a net on the schematic. With the pins dropped into the window and correctly labeled, all we need to do to finish the part is to draw a rectangle. Click on the ‘draw a rectangle’ icon, click once in the corner, drag, and click again to finish the rectangle. Hit File -> Save Current Library, and we’re done making the schematic symbol for this part. Again, the hotkeys are going to kill you. To add a component, press ‘A’. You might also want to hit ‘?’ and bring up the list of hotkeys. At this stage, we’re not concerned with footprints, or the physical dimensions of the components we’re eventually going to place on the board. All we want aresymbols. There are hundreds of different varieties of USB connectors, but right now we don’t care. All we need to do is drop a few resistors, diodes, connectors, and other parts onto the schematic. To do that, press ‘A’, and the window below will pop up. The important hotkeys to know are ‘A’ to add a part, ‘M’ to move a part, and now ‘W’ to add a wire between parts. 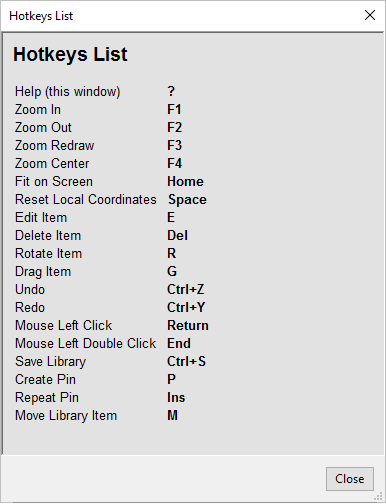 Again, pressing ‘?’ displays a list of hotkeys. Of special interest is the ‘K’ hotkey to stop drawing a wire. With all the wires drawn, it’s time to label these wires to connect them into ‘nets’ Check out the reference schematic to the right. The wires coming off the USB/Zener/resistor chunk of the schematic are labeled ‘PB4’ and ‘PB3’. These are nets connected to the PB4 and PB3 pins on the ATtiny, and are used for USB communications. The 1×4 headers are connected directly to every pin on the ATtiny, so we label them accordingly. We’realmostdone with the schematic. All we need to do now is add values to the relevant parts. The resistors must be labeled with the right value, the capacitor should 22nF or thereabouts, and the Zeners should have a ‘3.6’ label. It’s time for hotkeys again, this time brought to you by the letter ‘V’. Press ‘V’ over all the caps, resistors, diodes, and the LED and assign values. This takes care of thevaluesfor each part, but we still need to give each part aname. 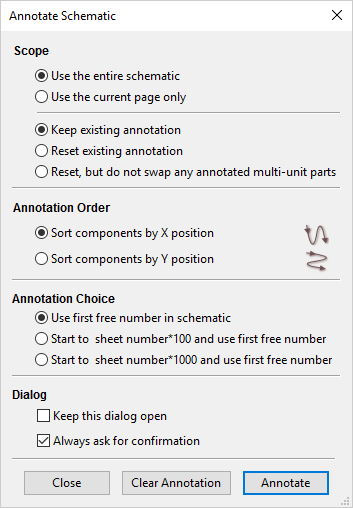 To do this, we’re going to use the ‘Annotate Schematic’ tool available in the top toolbar. 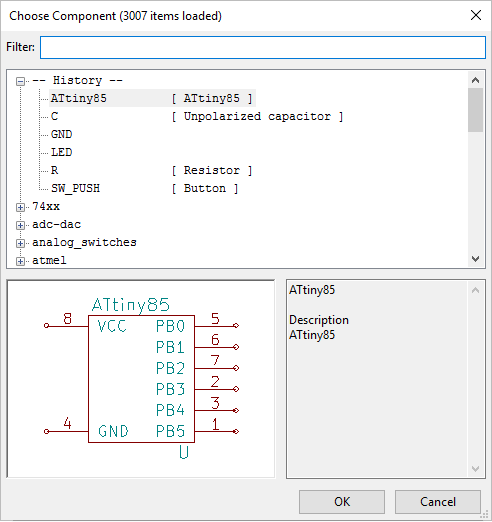 The Annotate Schematic tool automatically assigns a letter (D for diodes, L for inductors, R for resistors, Q for transistors…) to each part, along with a number. There are options to set how these numbers are assigned, but this is a very simple circuit and simply pressing the ‘annotate’ will suffice. With that, our schematic is done. We haven’t set any footprints up for each part, and we haven’t even started on the board yet. This post is already two thousand words long, though, andHackaday readers havethe entire Internet has no attention span. In the next part of this KiCad tutorial, we’re going to take a look at assigning footprints (the physical representation of components) to the parts in our schematic. We’re going to make a board, after which we’ll take a look at DRC, and a few of the neat tricks in KiCad including 3D rendering, turning the board into a bunch of Gerbers, and send off to a fab house.